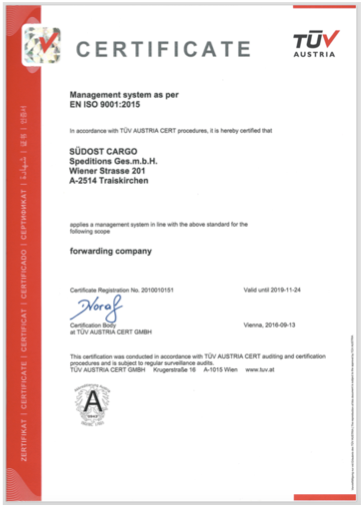 Südost Cargo SpeditionsgmbH was founded in 1996. 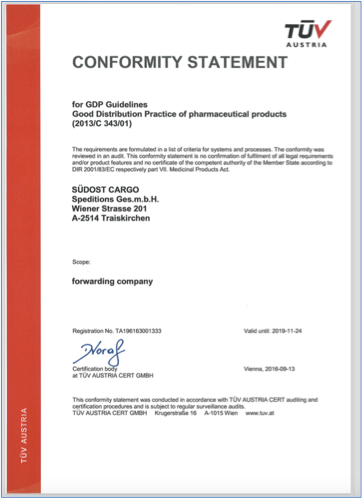 From the beginning the focus was set to logistics solutions for pharmaceutical goods. During the past years we became one of the leading service providers for temperature controlled transport. This was made possible by a team of passionate professionals, who are willing to fight for every shipment. Decades of know how and a wide customer base ensure our know how. 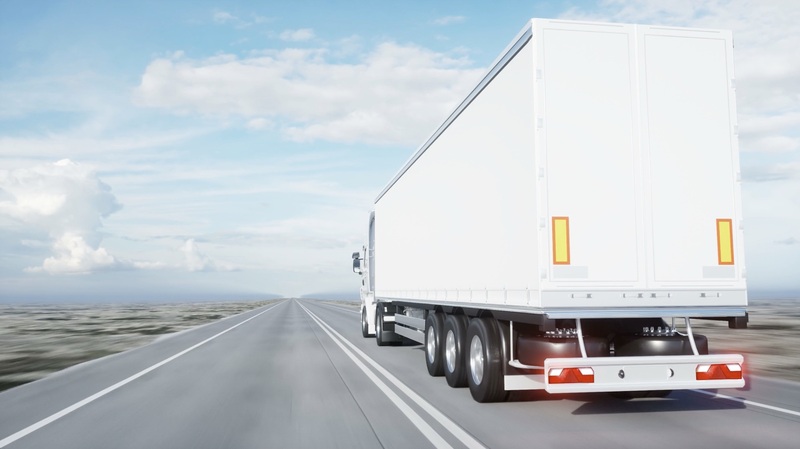 Innovative logistics for temperature controlled goods. We count on creativity and dedication. Branche specific know how for highest quality requirements. Longstanding customer & partner relationships. We do not lose any customers or partners. This makes us proud. Sustainable and fair treatment of suppliers. We go for strong and longstanding relationships. at 15-25°C, 2-8°C and -20°C. 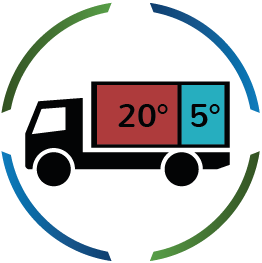 Temperature controlled transport for any shipment size: from one carton over single pallets up to partloads – we create capacity and efficiency. Wide pool of qualified carriers, high vehicle availability. 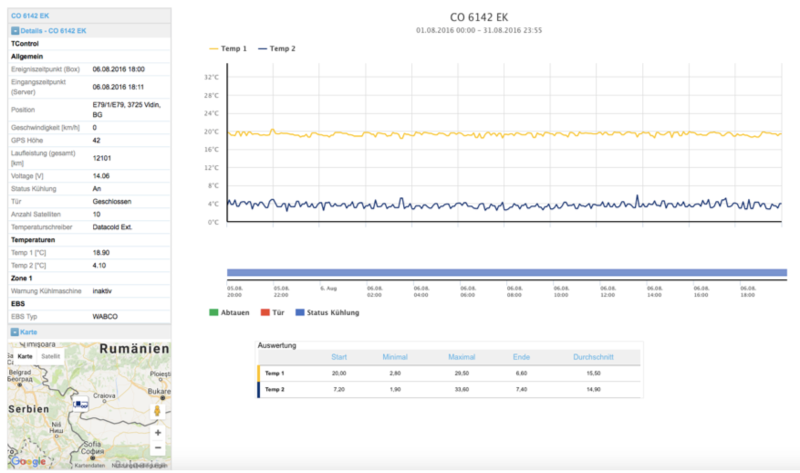 Different types of vehicles with multi-temp, double-deck & modern telematics. Regular part-load traffics and synergies. In the case of urgency. Europe-wide express transport for time-critical shipments. Specialized Sprinter carriers with over 300 vehicles – always nearby. Multi-Temp, ADR and transportation of addictive and narcotic drugs. Unbeatable in delivery quality and lead time. 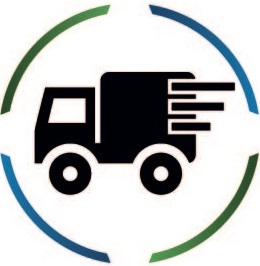 We create customized transport solutions. Individually designed and creative concepts. 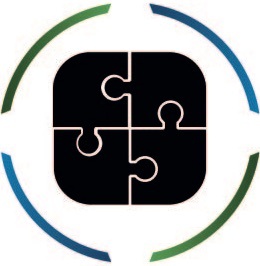 Platform solutions and use of existing pharma traffics. Strong IT support – efficient and up to date anytime. Our goal is your added value and a a clear win-win.